The Giant Wheel Ferris wheel at Cedar Point Amusement Park in Sandusky, Ohio. At 136' in the air, and with 36 cars, this is one of the largest ferris wheels in North America. 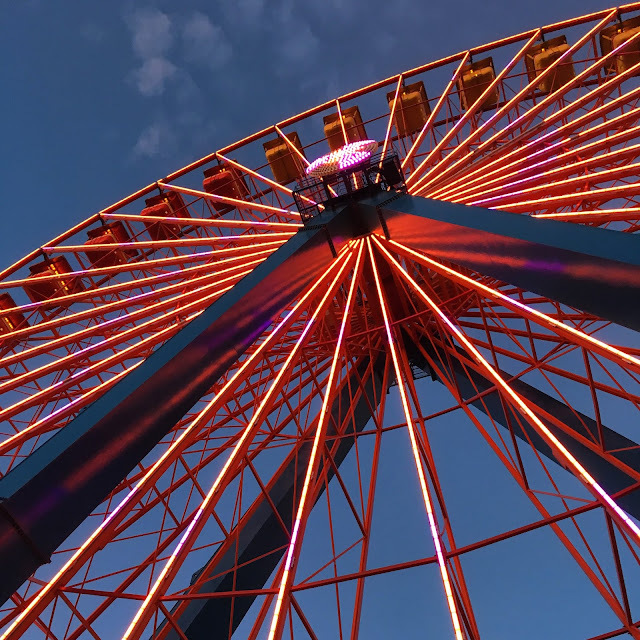 Since the park is located on a peninsula in Lake Erie, from the top of the wheel you can not only see all across the park, but you can also see across miles of open water.